This year marks 30 years of business for Vermeer MidSouth. This year marks 30 years of business for Vermeer MidSouth. The company started with eight employees in 1987, and has now grown to more than 60 employees. Originally founded with two stores in Memphis and Jackson, today the company's dealerships cover four states with five branches. “This company has worked to earn the confidence of many customers and vendors in our region,” said Denny Vander Molen, president of Vermeer MidSouth. For the last 30 years, the business has prided itself on its caring service and support. Our humble beginnings have kept us focused on our customers. To celebrate this 30th anniversary milestone, the dealership hosted open houses to thank its customers. “We serve a great industry. We are very grateful for the many years of continued service that our customers have allowed us to have, and we wanted to show them our gratitude,” said Vander Molen. 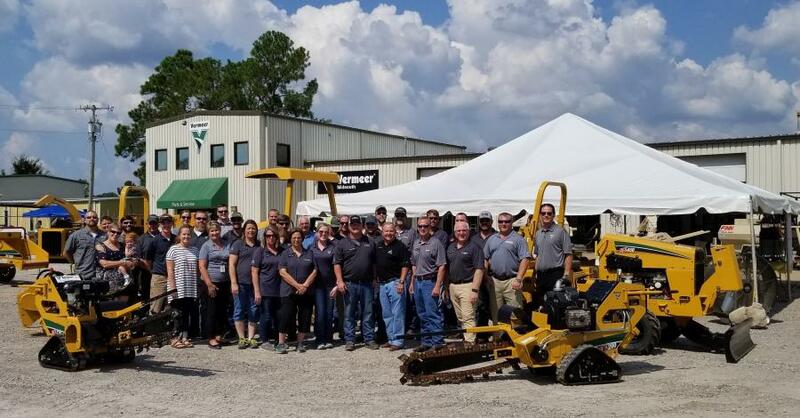 At the open house, customers had the opportunity to browse Vermeer equipment and chat with personnel from Vermeer headquarters, as well as partners from Bariod, FINN, Vac-Tron, McLaughlin, DCI and Towmaster. For more information, visit vermeermidsouth.com.